79% of boat owners are not aware of a costly gap incoverage that can leave you high and dry should something bad happen. 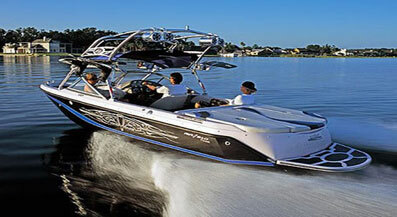 Call 866-869-3335 To Get the Right Boat Insurance Protection For You at the Lowest Cost! Boating brings a lot of pleasure. Good times with family and friends on the water can’t be beat. Unfortunately, boating can be dangerous and very costly. Aside from the expense of owning a boat, when bad things happen, it can become very expensive. People get hurt and boats sink. 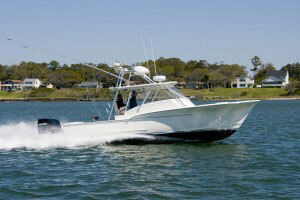 Without the right North Carolina boat insurance, you can be left high and dry. We insure boats all over North Carolina and have found that 79% of the boat owners that come to us for insurance, don’t realize their current insurance policy lacked a very important feature that if it is not fixed, could have cost them tens of thousands of dollars and in some cases, over a hundred thousand dollars. Why does this happen? They bought their boat insurance policy from an agent or online insurance company that doesn’t understand boat insurance. You see, nearly every insurance company that insures boats has their own unique policy. Unlike homeowners and auto insurance, boat policies are not standard and written with unique coverages, exclusions and endorsements. And many agents don’t even realize exactly what they are selling. This is when you need an agent that understands boat insurance and can give you exactly what you need. You have a lot of money invested in your boat, doesn’t it make sense to protect it properly. When it comes to boats, it’s not if you are going to have a loss, it’s a matter of when. Don’t leave the dock next time without calling our office at 866-869-3335. We’ll look over your current policy and make sure you have the right boat insurance protection at the lowest cost. Is Your Boat Properly Covered? If my boat sinks during a hurricane, how much will the insurance company pay for the damage?